The National Institute on Drug Abuse has recently awarded Brandeis a pair of linked training grants to support student training in computational neuroscience. The program is unusual for NIH training grants in supporting both undergraduate and graduate student research. Funding for the program is approximately $1.8 million over the next five years. We are extremely pleased to have received this grant, as it continues a long Brandeis tradition of integrating theory and experimental work in the neurosciences. We are especially pleased to have the undergraduate component, as we know there are students who are interested in learning how to employ rigorous quantitative methods to study the brain. Eligibility and program requirements to participate in the program will soon be available at the training grant website. Bourjaily, M.A., and Miller, P. (2011). 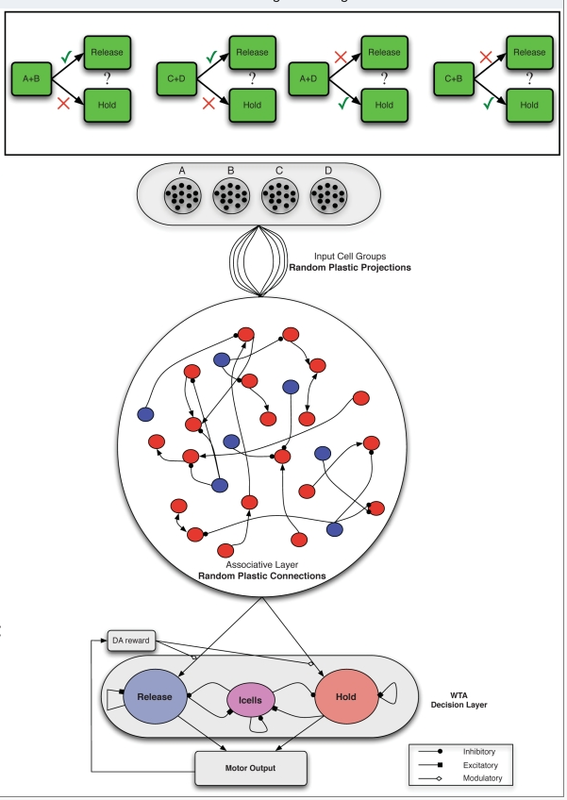 Synaptic plasticity and connectivity requirements to produce stimulus-pair specific responses in recurrent networks of spiking neurons. Plos Comput Biol 7, e1001091. Piquado, T., Cousins, K.A., Wingfield, A., and Miller, P. (2010). Effects of degraded sensory input on memory for speech: Behavioral data and a test of biologically constrained computational models. Brain Res 1365, 48-65. Berkes, P., Orban, G., Lengyel, M., and Fiser, J. (2011). Spontaneous cortical activity reveals hallmarks of an optimal internal model of the environment. Science 331, 83-87. Grashow, R., Brookings, T., and Marder, E. (2010). Compensation for variable intrinsic neuronal excitability by circuit-synaptic interactions. J Neurosci 30, 9145-9156.